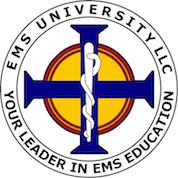 EMS University, LLC - "We don't follow the standards... We set them!" A THIRD PARTY COMPANY WILL BE OFFERING TB TESTING, LAB TITRES, FINGERPRINTING, AND DRUG TESTING ON THE FIRST DAY OF THE EMT CLASS. PLEASE CALL US AT (800) 728-0209 FOR FURTHER INFORMATION. You can register for fingerprinting services through Results Testing or by calling (623) 266-7700. Please fill out the form below if you have any questions regarding the process.